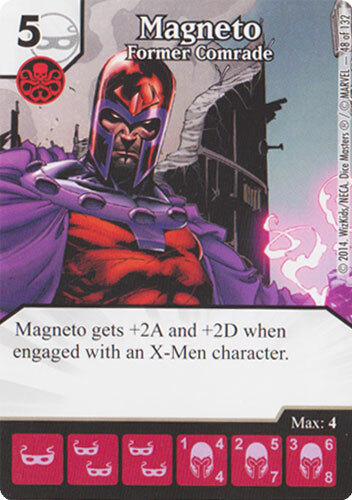 I assume this ability triggers whether or not Captain Marvel is blocked, correct? Either way she is dealing combat damage, either to the opponent or to a blocking character. Correct. 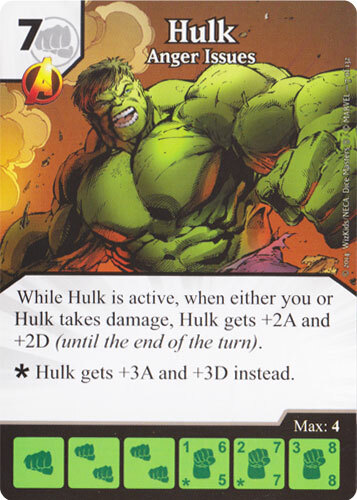 Combat damage dealt to the opponent is still combat damage. 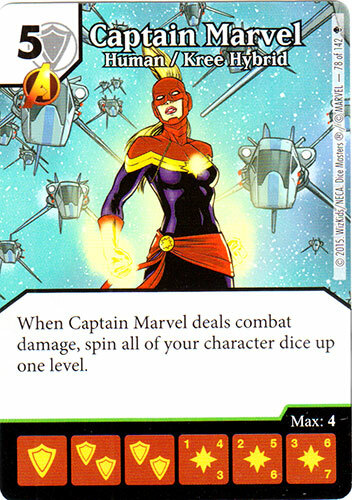 Yes, Captain Marvel deals combat damage to the opponent (or opposing "Mastermind" if you like it nasty). Why you say your characters (excluding Cap Marvel) do get the defense bonus before checking to see if they are knocked out? I have to check again attack and defense values before they are KO? in fact, attack bonus too. Last edited by bartok; 10-21-2015 at 12:57 PM. Why you say your characters (excluding Cap Marvel)do get the defense bonus before checking to see if they are knocked out? I have to check again attack and defense values before they are KO? Damage is first applied, then knockouts are applied to characters that took more damage than their defense. Because of this, Captain Marvel will in fact proc and spin up your characters before you check to see if they are knocked out. That said, the damage must be dealt first, so they will not get a bonus to their damage dealt since they have already dealt damage before being spun up. or you include Captain Marvel? If she is not blocked level 2, she level up to level 3 and increase damage to the opponent before going to Used Pile. Nope. She has to deal damage first to trigger. So, she deals damage as a level 2, then spins up to level 3. She doesn't deal damage again, because she already did. What's the timing for Captain Marvel with say either Groot: Reincarnated or Deathstroke: Villain For Hire when they get KO'd? Do they stay at level 1 or get to use CM's ability along with their own to automatically go to level 2? She deals any combat damage, you spin up your characters. Unblocked, she deals her damage, spins up then goes straight to used. Her ability triggers immediately during the damage step, KO doesn't happen until cleanup. They would be level 1.
but when all the characters spin up, probably increase theirs DEFENSE Values and live another turn. I have to check against their Attack Opponents with this posibility of enhanced DEFENSE (one level up). I´m correct? Last edited by bartok; 10-22-2015 at 08:37 AM.